Max Dupain (1911–92) is one of the leading figures of 20th-century Australian photography. The group of 21 photographs in his Paris ‘private’ series was taken when he travelled to Paris in 1978 with architect Harry Seidler to photograph the Australian Embassy, designed by Seidler. The series consists of transcendent photographs of Paris. Dupain had studied the work of Eugène Atget, and there is a similar enigmatic atmosphere to be found in Dupain’s examination of the city. Primarily depicting 18th- to 19th-century landmarks such as the ornate Alexandre III bridge, the Grand Palais and Chantilly, this compilation offers a view of the city and its environs shaped by layers of history, mythology and art. 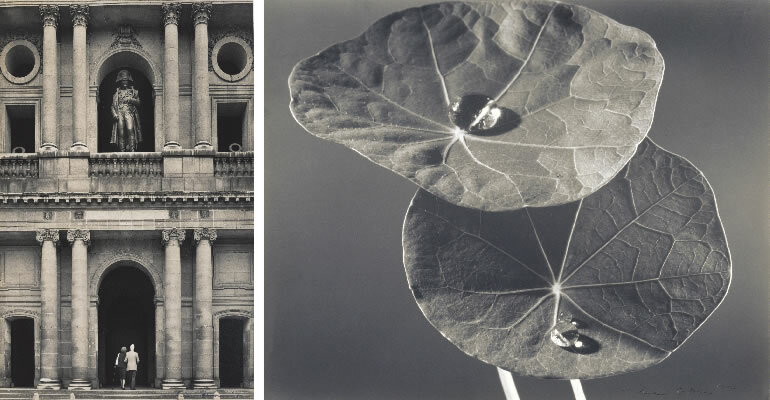 Given to the Gallery by Penelope Seidler in memory of her husband and the photographer, this portfolio is shown alongside other photographs of made and natural structures by Dupain from the 1930s to the 1980s. Note: The closing date for this exhibition has changed to 31 August 2014. The Gallery apologises for any inconvenience.